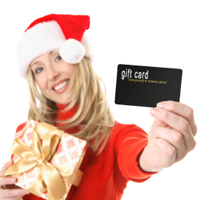 Ordering your gift certificate is easy. Simply fill out the form below and we'll send you your customized, printable gift certficate, redeemable at any SignatureForum network location! You can also call us anytime with questions at 866.363.6434. Date of Occasion*	This denotes the date that the gift will be given. View a list of participating affiliates in your area. Fill out the information below and press submit. Print out the gift certificate on the next page or sent to you via e-mail and redeem it at your Signature Certified Cosmetic Specialist of choice. It's that easy to give the gift of aesthetic enrichment to the ones you love.